Online Tuition Saudi Arabia Welcome To ASVA - Saudi Arabia Best Online Tuition, Math, Physics, Stats, Biology, Chemistr﻿y, Statistics, Saudi Arabia, Online Tuition Academy – Pakistan, Kuwait, Qatar, Doha, Amman, Bahrain, U.A.E., Dubai, Sharjah, UK, USA, Canada, Australia, Germany, France, Italy, Norway, India, Bangladesh, South Africa, Nigeria, Turkey, Ireland. Saudi Arabia First and the Largest Online Tutor Academy. We provide Saudi Arabia expert online tutors, well experienced, highly educated, dedicated and result oriented with experience of teaching professionals in different high valued colleges, schools and universities. They are well versed with all the curriculum of different countries. Expert in online teaching Math, Physics, Chemistry, Biology, Statistics, Economics, Accounts and other major subjects. Advantages of Online Tuition: Flexibility of Time and Space: For the recent past online tutoring is gaining its popularity among the education circle all over the globe. There are certain reasons for this. One of the main important aspect of online tuition is the flexibility of time and space matter - there is not need both for students and teachers to stuck up at a certain place, they can take their classes at any place and also at any time depending on mutual understanding between them. Online Tuition at Al-Saudia Virtual Academy is 24/7 hours service. Save Time and many more. This program consists of several entities e.g., Past papers of different subjects and different classes, quality notes written by experienced professional teachers, professors and lecturers of highly valued educational institutes of Karachi. Details of our services, contacts, tutors' profiles, free online math and stats worksheets, free questions sheets of math, physics, stats, chemistry, biology, mcq's and many more. 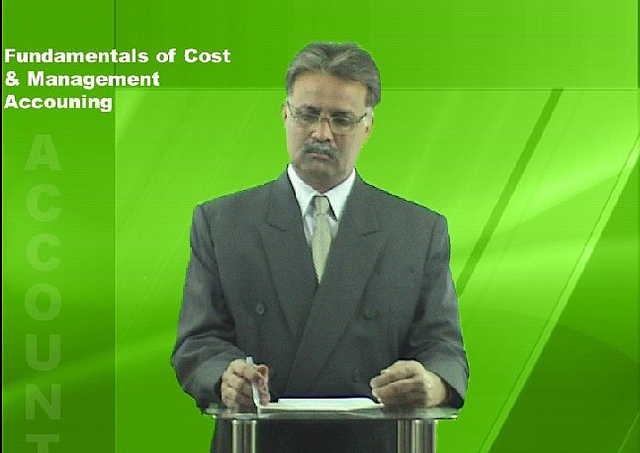 Expert in online teaching Math, Physics, Chemistry, Biology, Statistics, Economics, Accounts and other major subjects. We deal in all the major curriculum of the globe gcse, igcse, Edexcel, IB, WJEC, AQA, UK, Australian, American, Canadian, Saudi Arabia, Indian and other major countries syllabus and curriculum. We provide excellent and comprehensive entry test preparation, GED, GRE, SAT, IB, IELTS, TOEFL, MBA, BBA, Medical and Engineering college test preparation. Special emphasis is given in preparation of mathematics and statistics notes and worksheets, as mathematics is universal and more and less equal in all curriculum, therefore special attention is given and the questions chosen there can cover all the syllabus at a certain level. Similarly, for physics, chemistry and biology, notes are prepared with great care, as different curriculumdiffer in these subjects. Service Above Self: We strictly believed in our motto and worked according to it, we are the leading online professional educationalist in Saudi Arabia. The number of students is increasing day by day, the students and their parents are satisfied with our working and helping us in our promotion, they refer other students and families to join us. The situation has certainly boosted our moral and we pay more and more attention in the betterment of our services. We hope you will enjoy visiting our website repeatedly and provide us positive feedback so that we can improve the quality of the stuff we are providing free online. This will certainly not only help your children but the children all over the globe, your positive feedback certainly is a help to them. Our Aim is to provide quality online education, excellent activity-based education, concept oriented curriculum, modern teaching techniques, with highly experienced teachers. We provide expert online tutors for GCSE, Edexcel, AQA, IB, AS, A2 levels, Australian, American and Canadian curriculum. Al-Saudia Virtual Academy has a strong setup of working, we provide online tutors, online tutors mathematics, online tutor physics, online tutor chemistry, online tutor biology, comprehensive and complete preparation of GED, GRE, SAT and Entry test preparation. Homework assistance, assignment help, conducting MCAT and BCAT test online, Tutors registration, providing online jobs to tutors, coordinator and assistants to different schools and institutes in Middle East. Al-Saudia Virtual Academy has a history of responsible and excellent tutoring Academy. We strongly believe in spreading of quality services, our passion and dedication is our true assets, we believe that success is not just about profits measured in numbers but also, as importantly, about how those numbers are achieved. Our corporate strategy reflects our commitment to sustainable business practices and balancing responsibility alongside growth and productivity. As you all know Al-Saudia Virtual Academy began its journey in 1982 from a small coaching center and today with the blessing of Almighty Allah we are a brand name in the region recognized globally. It take companies a whole life time to cover such a long and significant achievement but Al-Saudia Virtual Academy feels its journey has just begun. Al-Saudia Virtual Academy’s commitment to the students and Educational Institutions will continue to be its prime driving force as it moves into the future. Various new developments have taken place during the past few months and we are progressing towards a brighter future. Lot of new students have joined with us and we are providing them our excellent services. Our innovative website launched recently provides a very friendly & easy approach for prospective students and academics. We continue to grow in size with new Offices and Associates in Middle East, South Asia and African region. Today we are the largest Online Education Academy in the region with over 40 well qualified and experienced teacher and professors from Pakistan. I feel that studying online is a very important because it saves time, and much less expensive than home tutor or sending your child to some academy. In these circumstances it is essential that you choose an academy, which provide their excellent service with a proven track record. (CALL: +92332-3343253) Online Math Tutor, Stats, Physics, A Level, Edexcel providing tutoring, tuition services to Saudi Arabia, Kuwait, Qatar, Bahrain, Dubai, UK, London, Ireland, Germany, Italy, USA, Canada, Nepal, Australia, Pakistan, Karachi, Lahore, and many other cities and countries around the globe. Teaching online Stats, Statistics, Probability, calculus, Algebra, Trigonometry, up to M.Sc level, including syllabus of Edexcel, GCSE, CIE, K-12, IB, SAT, WJEC, AQA, Pakistani Board and Indian Boards. Professor Masood Amir has the best command in teaching edexcel, and A-Level subjects Maths (C1, C2, C3 & C4), Discrete Maths (D1 & D2), Mechanics (M1, M2, M3 & M4), Further Maths (FP1 & FP2). Best online tutor academy Saudi Arabia, Kuwait, Qatar, Bahrain, Dubai, UK, London, Ireland, Germany, Italy, USA, Canada, Nepal, Australia, Pakistan, Karachi, Lahore tutoring online, teaching online, tutors online. Al-Saudia Virtual Academy is the Pakistan oldest, first and the largest online tutors academy situated in Karachi, formed in 1982, we are serving our students for the last 30 years, our online expert tutors of Mathematics, Statistics, Biology, Chemistry, Physics, Accounting, Economics, MBA, ACCA, English Language, Business Studies, A-Level and O-Level are helping students all around the globe. Online tutoring services, online tutor, private online teacher, online tutors academy Pakistan, Saudi Arabia, Kuwait, Qatar, Amman, UK, London, USA, Germany, Bahrain, Dubai, UAE, Muscat, Doha, Denmark, Brisbane, Canada, Australia, New Zealand, Wales, Indonesia, Malaysia, China, Japan, Afghanistan, Turkey, Iran, Iraq, Syria, Egypt, South Africa, Nigeria, Italy, France, Spain, Algeria, Malta, Morocco, Australia, Denmark, Sudan, Italy, wherever you are we are ready to give you our excellent tutoring services. We provide you the best online tutoring assistance around the globe all day long. Our 24/7 online tutoring services provide you the best, well qualified, highly skilled, result oriented and dedicate tutors, teachers, instructors give you help in your academic, assignment, homework help.